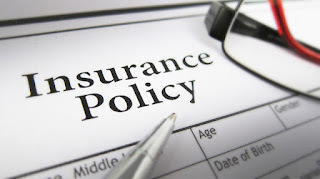 There are many types of insurance that someone might take out over the course of their lives. They range from auto insurance to homeowners and business insurance. A lot of things need protecting in case of disaster. But if there's one thing that you need to protect more than anything else, it's your family. If you were to suddenly pass away, they could be left without the financial means to carry on as they were. A death in the family is difficult enough to deal with, without having money problems on top of everything else. A life insurance policy can help you, but choosing one can be confusing. Use these tips to find the right one for you. There are a few different kinds of life insurance to consider. They have different benefits, so it's important to consider which one is for you. Term life insurance lasts for a given period of time, such as 5, 10 or 20 years. When that time ends, you can renew the policy or decide not to. If you renew it, your rates could be higher than they were initially. There's also universal life insurance, which is permanent and flexible. You can adjust your coverage and your premiums over time with this type. You can also use whole life insurance, which has fixed rates and builds cash value. Whether or not you know what sort of life insurance policy you want yet, you can begin comparing companies. It's easy to find websites where you can look at the different options available to you. Performing a search on these comparison sites should allow you to look at the prices, as well as the benefits that each policy can offer you. You can use this information as a starting point. Don't just decide to go for the cheapest policy available to you. One you have some options for which company to use, you can research them. If you would normally check out reviews and other information before buying something, make sure you do it with your life insurance. You can look at their website and read reviews from past and current customers. You don't don't want to start paying for a policy, and then realize you could have avoided a bad experience. Even worse, you don't want your family to be left dealing with a poor company. When you think you might know who to go with, remember to ask questions. You can speak to an insurance agent who will tell you anything that you need to know. They should be able to tell you about the options you have available to you. Ask them about the fees you have to pay and the terms of the policies you are interested in. It's best to clarify anything you want to know at the beginning. Plus, you can show that you know what you're talking about to avoid being sold a product you don't need. When you're looking at life insurance, consider it for your whole family, not just the adults. It's often a good idea to have everyone covered.